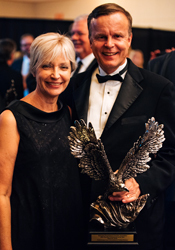 The Tennessee Hospitality & Tourism Association honored Bob Doak, president and chief executive officer of the Chattanooga Convention & Visitors Bureau, with the 2016 Tennessee Tourism Professional of the Year Award. 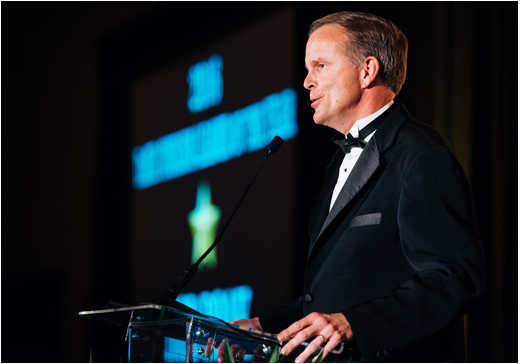 The Stars of the Industry Awards gala was held Sept. 22 at the Chattanooga Convention Center during the Tennessee Governor’s Conference on Hospitality & Tourism. The awards are presented to individuals and companies whose commitment to hospitality and tourism have improved the overall industry statewide and have allowed the industry to “wow” guests on a daily basis. The recipients epitomize the true spirit of hospitality that makes Tennessee a great place to live, work, and play. Bob Doak has spent more than 30 years working in the hospitality and tourism industry. Because of his vast experience, he was named president and chief executive officer of the Chattanooga CVB in 2002. As the CVB head, Doak directs the efforts of the $8 million organization that focuses on increasing the economic impact to Hamilton County by marketing the area to potential tourists, meeting planners and sporting-event organizers. The economic impact of tourism has doubled during Doak’s 14-year tenure at the CVB. The latest tourism statistics show that visitors spent more than $1 billion dollars in Hamilton County which supports 7,500 full-time jobs in the tourism industry. He was recently named one of the most “influential business leaders” in Chattanooga by CityScope magazine. Doak serves as a board member for numerous civic organizations including ArtsBuild of Chattanooga, Chattanooga Area Chamber of Commerce, Chattanooga Hospitality Association, Chattanooga Sports Committee, Governor Bill Haslam’s Tennessee Tourism Committee, Thrive 2055, and the UTC Chancellor’s Roundtable. Doak is a member of multiple organizations including the U.S. Travel Association and the Downtown Chattanooga Rotary Club. Doak is a graduate of Florida State University. He has been a resident of Chattanooga for 33 years and happily married to Darlene for 27 of them. The Chattanooga Convention & Visitors Bureau is a non-profit, Hamilton County funded organization, formed to strengthen the area economy through the marketing and promotion of the Chattanooga area as a year-round destination for meetings, conventions, sporting events and leisure travel.